For the most part, what separates “craft” beer from non-craft beer is the recipe. 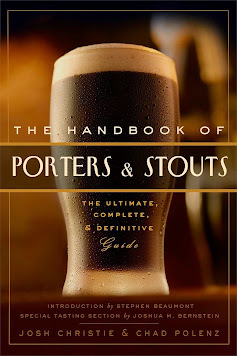 After all, the vast majority of the beer brewed and consumed in the world is of the adjunct lager style with only slight variations between recipes. So I’m not sure what the point of Caldera Lawnmower Lager is since it’s very similar to the Big Boys’ brews in every facet. Not that it’s bad, though; in fact, I’d definitely take this over a macro of the style, but there are better craft lagers out there. I poured a 12oz can into a shaker glass. It was canned on 6/17/15 and cost $2.30 ($0.19 per ounce). Appearance: Golden in color with spastic carbonation easily seen through the clear body. Pours to a small, white, foamy head which mostly dissipates but does leave a bit of a lacing. Smell: Similar to other fizzy yellow lagers. No distinct malt or hop presence. Clean and inoffensive, though. Taste: I think the best way to describe this palette would be as macro adjunct lager done better. Though that’s not that great of a compliment. The taste here is quite familiar – pale grain with only a touch of hops (it’s only 16 IBUs, after all). I get a slight tangy presence on the finish, maybe even some acetaldehyde. I was hoping for some real hop flavor, but there’s just a light dry bitterness throughout. It’s made with flaked rice so there is a familiar Budweiser-like component here. Still, it doesn’t taste like canned corn or metallic like many macro brews. Drinkability: I drank this specifically on a hot and sunny summer day because at only 3.9% ABV, it’s exactly the kind of beer you want for the situation. Unfortunately, Caldera Lawnmower Lager is not especially refreshing. In fact, there is a bit of a starchy taste that lingers. I will say it’s plenty crisp and easy to get down, though I would not consider it for sessioning because I’m not enamored with the taste.